All the works are pre-recorded and some will be projected in black out. 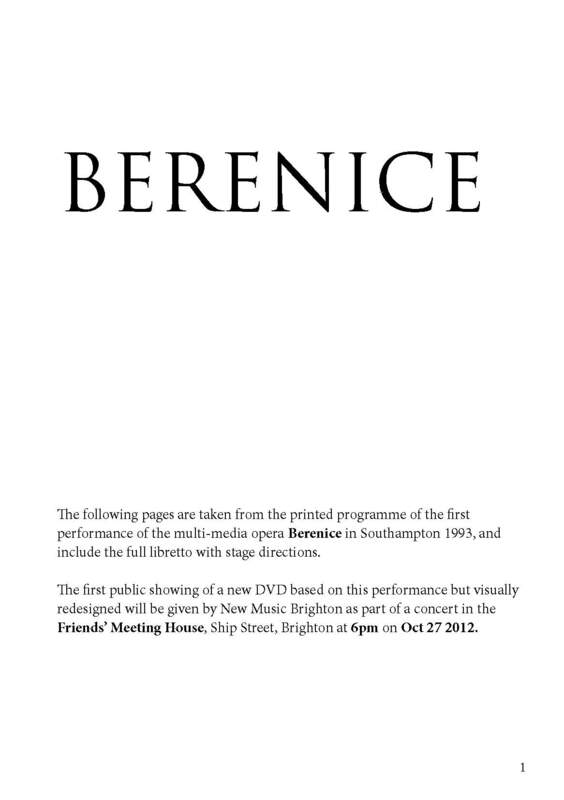 The libretto for Ric’s Opera-ballet Bérénice can be downloaded from the link below. Please bring your iPad or tablet and you can follow the libretto during the performance. 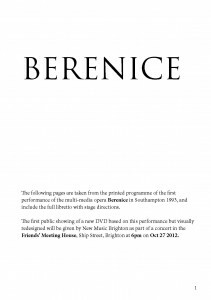 Click here to view the Berenice libretto in a browser or right click to download.